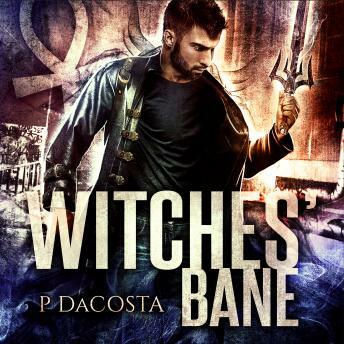 Witches are disappearing all over New York, and Ace Dante couldn't care less-until one holds his friend at gunpoint, demanding Ace take the job. The witch produces a girl's severed arm, bearing an unusual hieroglyph, and Ace starts to care a whole lot more. He recognizes that mark. It's connected to Ace in ways he doesn't yet understand. Why is it on a dead witch's arm? Missing witches and severed arms aren't Ace's only problems. With a new name around his neck-Godkiller-Ace has a promise to uphold. He has three days to kill the god Thoth-or risk Osiris's wrath. The last time Ace defied Osiris, he earned a curse that crippled his life and turned him into Osiris's puppet for eternity. This time, Osiris won't be as lenient. Ace must kill Thoth. An impossible task. It takes a god to kill a god, and Ace is just a washed-up mercenary. Isn't he? As the spells are cast and the truth is revealed, there's only one way out. Ace must become the monster the gods fear him to be.